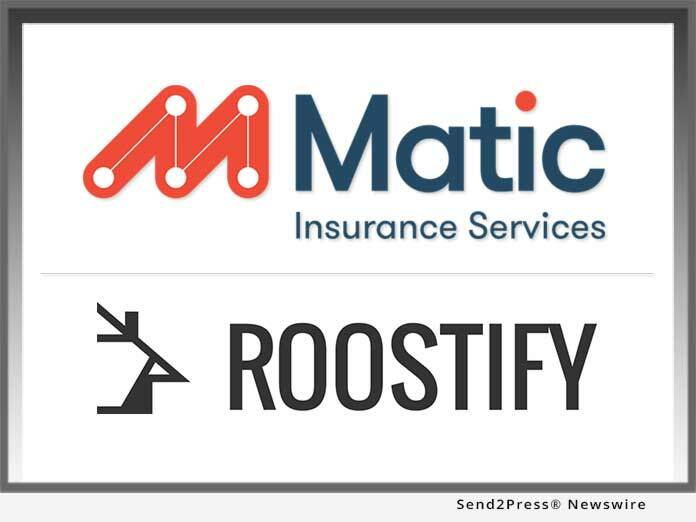 Matic Insurance Services, a digital insurance agency that enables borrowers to purchase homeowner’s insurance during the home-buying transaction, has forged a partnership with automated lending technology provider Roostify. The company announced the news Tuesday afternoon from the stage of TechCrunch’s Startup Battlefield, part of the TechCrunch Disrupt SF conference held in San Francisco this week. Matic was one of just six elite startups chosen to advance to the final round of the competition. SHERMAN OAKS, Calif. /Mortgage and Finance News/ — Matic Insurance Services (Matic), a digital insurance agency that enables borrowers to purchase homeowner’s insurance during the home-buying transaction, has forged a partnership with automated lending technology provider Roostify. The company announced the news Tuesday afternoon from the stage of TechCrunch’s Startup Battlefield, part of the TechCrunch Disrupt SF conference held in San Francisco this week. Matic was one of just six elite startups chosen to advance to the final round of the competition. Roostify’s digital mortgage platforms, preferred by leading lenders including tier-1 banks and large independent mortgage banks, accelerate the mortgage loan process by eliminating unnecessary paperwork and making it easy for borrowers to apply for a loan, submit the required documentation and communicate with their loan officer and other loan participants from any web-enabled device. Matic was among just 22 startups selected to compete in TechCrunch’s Startup Battlefield, the world’s pre-eminent startup competition. Each Battlefield event invites a select group of early-stage startups to pitch their businesses in front of a live audience of thousands, including members of the press, investors and potential business partners. Pitches are critiqued by a panel of judges that includes leading venture capitalists and entrepreneurs. The winning pitch earns a place at the top of the Startup Battlefield leaderboard and a $50,000 cash prize. More than 648 startups have participated since the first Startup Battlefield in 2007, including such household names as Mint, Dropbox and Yammer. In aggregate, these companies have raised over $7 billion, and nearly 100 have been acquired or gone public. For more information, download Matic’s press kit from https://maticinsurance.com/presskit.pdf. Matic Insurance Services (Matic) was founded in 2014 by Aaron Schiff and Benjamin Madick. Based in Sherman Oaks, California, Matic is a technology-driven insurance agency focused on helping lenders and loan officers better integrate homeowner’s insurance into the lending process. By using loan application information and first-of-its-kind technology, Matic provides homebuyers multiple policy options within seconds, helping loan officers close their loans faster. Matic delivers the most trusted, affordable insurance policies available thanks to its partnerships with a diverse network of insurance carriers. Today’s borrowers expect a digital home-buying experience, and Matic gives them the digital insurance experience to match. For more information, visit https://maticinsurance.com. Founded by consumers looking for a better way to buy a home, Roostify leads the industry in delivering accelerated and transparent online mortgage experiences. From enterprise banks to independent brokerages, dozens of lenders across the United States trust Roostify to speed up closings, reduce unnecessary work and give their customers a smooth, anxiety-free mortgage experience. Since 2014, Roostify has helped close thousands of home loans nationwide. Roostify is privately funded and headquartered in San Francisco. For more information, please visit https://www.roostify.com. This version of news story was published on and is Copr. © 2017 Mortgage & Finance News™ (MortgageAndFinanceNews.com) – part of the Neotrope® News Network, USA – all rights reserved. Suzee Quanta is the lead content editor for Mortgage & Finance News magazine, responsible for quality control and uptime. Suzee has worked in the finance industry for over 20 years in various support service positions, and joined the Neotrope News Network team in 2017.